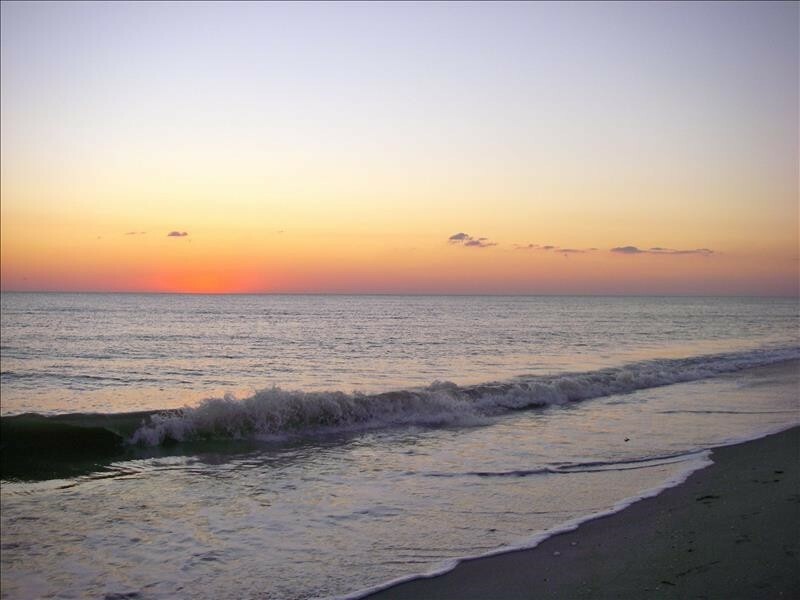 Feel right at home away from home during your stay on delightful Sanibel Island. You'll be conveniently located, just far enough from the hustle and bustle, yet close enough to everything, in this fabulous rental. The lovely Las Ondas home is a tropical ground level beach home with heated pool in a quiet residential neighborhood on a large private lot. The white, sandy Gulf of Mexico beach is just across the street. Call for last minute specials and availability! Come sit by the Las Ondas pool and read a book, or check your email while enjoying the shaded lanai. Take a stroll through the tropical neighborhoods and see the gardens. Then watch the waves and sunset on the beach, whether with a good book, a cocktail or friends. Las Ondas is furnished with high quality furniture, and if you desire a clean, luxurious home away from home, this is it. Accommodates up to 8 people. Las Ondas features travertine tile throughout the living room, dining room, kitchen, den and baths/hallways, while the bedrooms feature berber carpeting. The kitchen is very well equipped wth everything you would need for an extended stay. Enjoy the stainless steel Energy Star appliances - the refrigerator has an icemaker, there is a glass-top stove, oven, dishwasher and microwave. We provide dishwasher tablets, dish soap, hand/bar/bath soap, coffee filters, paper towels, toilet/facial tissue, miscellaneous cleaning supplies, as well as laundry detergent and dryer sheets. The formal living and dining area are part of the great room that is adjacent to the kitchen. Enjoy a lovely view of the pool through the French doors, curl up with a good book and while away the time. The den is just off the kitchen, and it features a sitting area, flat panel tv, and French doors leading to the pool. The Master Bedroom features a King bed, flat panel tv, French doors leading to the pool, and an en-suite 3-piece bathroom and dressing area. The Poolside Guest Bedroom has a Queen bed and French doors leading to the pool. 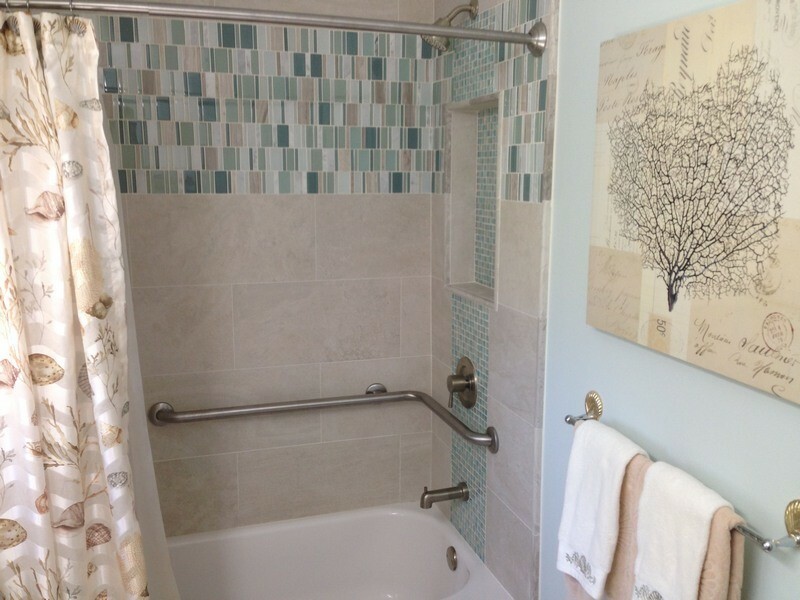 It is adjacent to the Pool Bathroom, featuring a shower, vanity, toilet and privacy door leading to the pool. The East Room features a Queen bed and is ideal for those who like to sleep late. It's cozy, cool and quiet. The 4th bedroom features 2 Twin beds, a privacy door leading to the side yard, and it is adjacent to a 3-piece bathroom featuring a lovely shower, vanity and toilet. The laundry room is just off of the den and Twin bedroom hall. Laundry detergent is provided for your use. The beach is directly across the street, while galleries, restaurants, shops, grocery, post office and cinema are less than a 2 mile walk, bike ride or car trip away. Beach chairs and towels are provided. 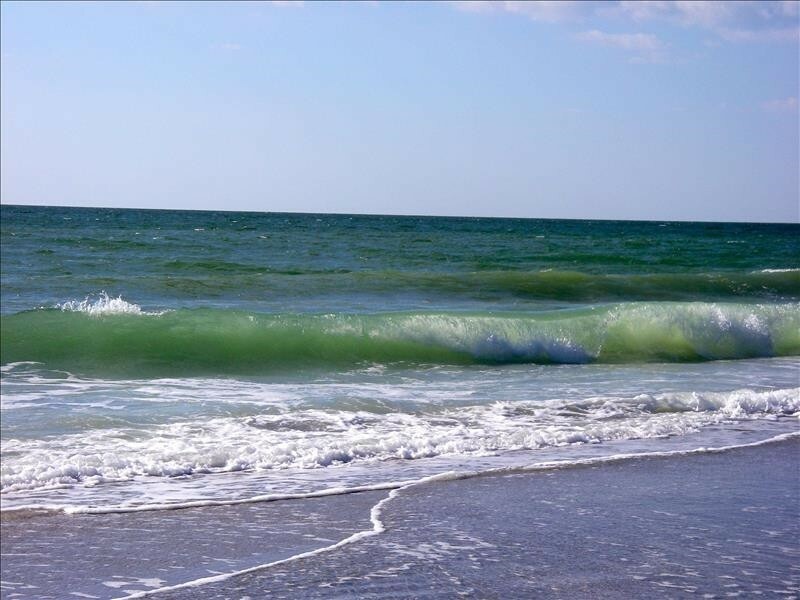 Las Ondas is professionally managed by Cottages to Castles of Sanibel & Captiva. Since 1997, they've been making sure that each stay is a memorable one. Your doggie is welcome at this property with prior approval of the Owner and Cottages to Castles. Payment of a non-refundable pet fee is required. The non-refundable fee is based on the length of your stay and the number of doggies in residence and/or visiting the property. Weight limit and breed restrictions may be applicable, based on the type of property rented. Failure to disclose a doggie in residence and/or visiting the property for non-overnight stays can result in eviction and forfeiture of all prepaid funds. Houses may be rented for any 28 days within the same calendar month. Please call if you have specific dates. Due to online booking limitations, this property may show as unavailable for your requested dates, when it actually may indeed be available! Please contact me with information regarding Las Ondas Home.